has taken time out from his busy 6 Nations schedule to speak at Holmpatrick, home of Skerries Rugby. The event has been kindly sponsored by Leaseplan. 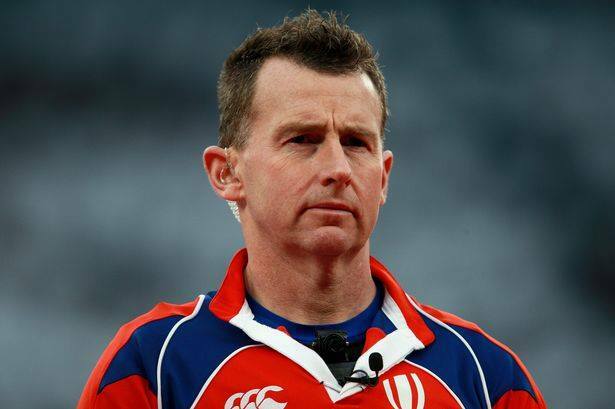 Nigel Owens is recognised as one of the top rugby referees in the World. Nigel has refereed at 3 World Cup including the Final of the 2015 at Twickenham and the most respected referee among players. His autobiography was released in 2008 in Welsh called “Hanner Amser” which translated means “Half Time”. In 2007 Nigel was named “Gay Sports Personality of the Year” by the gay rights group Stonewall at their annual awards ceremony in London. We thank Nigel for his courtesy visit to our Club and wish him well in his future endeavors.